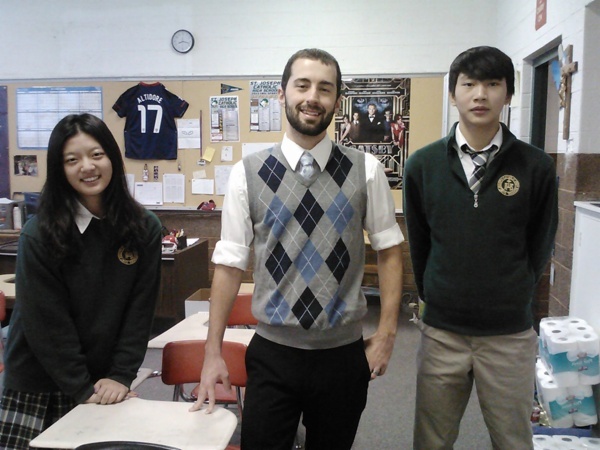 The sharp growth of Chinese students in American high schools is also serving as a “lifeline to many Catholic schools around the country,” writes Anthony J. Zavagnin in America magazine (October 31). The number of Chinese high school students in the U.S. increased from fewer than 1,000 in 2005 to more than 23,000 by 2013 as such international students see secondary institutions as a pipeline to the American educational system. Of these students, just under 28 percent attend Catholic schools. Since these students are willing to pay high amounts (more than five times what local children pay), these schools can charge a premium for their education. Local families also host these Chinese students for the year and receive a stipend for opening their homes to them, providing more support for the Catholic school community. “As a consequence, students from China, whose government limits both religious and academic freedoms, are in the position to help keep the doors open for many struggling Catholic schools in the United States,” Zavagnin writes.